RA Wanted: Highly motivated, energetic and enthusiastic persons are always welcome to work with us on the topics of natural language understanding and generation, information diffusion and information credibility on social media, and etc. Open Research Position: I am looking for a research associate/assistant for the projects, Machine Conversation/Dialogue Models, Machine Reading Comprehension Models, Data-driven Summary Generation Models, and Knowledge Graph Modeling and Integration. Good background knowledge in deep learning and natural language processing is expected. 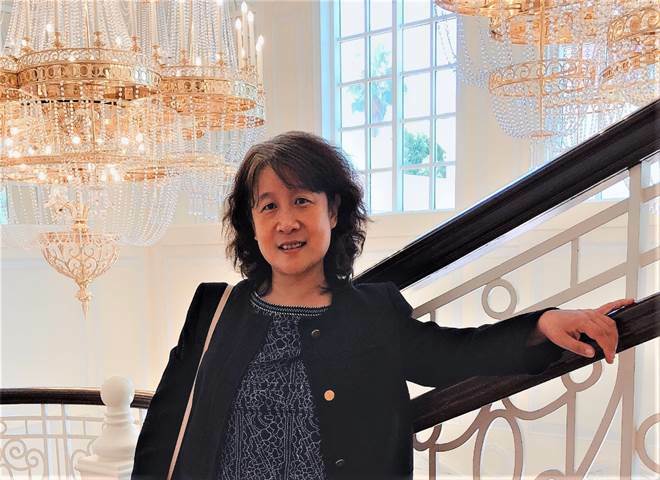 [April 16, 2019] Lei Yu's Social Attentive Deep Q-network for Recommendation was accepted by SIGIR2019. Congratulations. [February 17, 2019] Diffusion Prediction with Network Regularized Role-based User Representation Learning, done by Zhitao Wang, was accepted by TKDD. [October 28, 2018] Congratulations to Yanran Li! Meta-Path Augmented Response Generation was accepted into the Student Abstract and Poster Program at AAAI2018. [August 11, 2018] Jiachen Du and Hui Su, the former RAs in our group have their papers, Nexus Network: Connecting the Preceding and the Following in Dialogue Generation and Variational Autoregressive Decoder for Neural Response Generation, accepted by EMNLP2018. Congratulations to them! [August 7, 2018] Congratulations to Zhitao Wang. A very good year for him! After WWW2018, his two papers (A Sequential Neural Information Diffusion Model with Structure Attention, and Variational Recurrent Model for Session-based Recommendation) were accepted into CIKM2018 again. [May 15, 2018] We participated in 2018 NLP Challenge on Machine Reading Comprehension organized by Baidu. Our group ranked 20 among 153 domestic and foreign teams. Congratulations to Zongheng Wu, the student assistant in our group, who are the main contributor to develop the system. Wish he has greater achievements in the future. [April 22, 2018] Retrieve, Rerank and Rewrite: Soft Template Neural Summarization, the work of Ziqiang Cao was accepted into ACL2018! [February 25, 2018] Congratulations to Zhitao Wang, whose work Attention Network for Information Diffusion Prediction was accepted into WWW2018. [November 8, 2017]: Modeling Scientific Influence for Research Trending Topic Prediction and Faithful to the Original: Fact Aware Neural Abstractive Summarization were accepted by AAAI2018. Congratulations to Chengyao Chen and Ziqiang Cao! 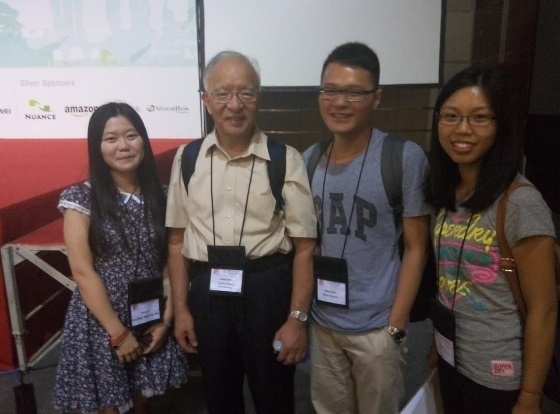 Congratulations also goes to Su Hui in our team who (collaborated with his friend and) got one main conference paper and two student poster papers accepted. 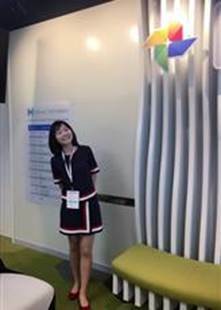 [July 26, 2017]: Yanran Li is selected as a scholarship recipient of the 2017 Women Techmakers Scholars Program! [November 25, 2016]: We participated in the competition in TREC Temporal Summarization Track. In both tasks, the system developed by Haihui Tan achieved top performance. 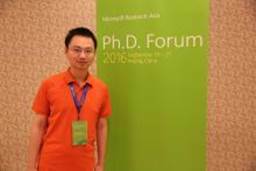 [September 30, 2016]: Ziqiang Cao won the 2016 Microsoft Research Asia PhD Fellowship Award! [July 20, 2016]: Ali Popular Music Prediction competition was completed. Yu Lei's Morning Summer ranks 39th among 5476 participants.